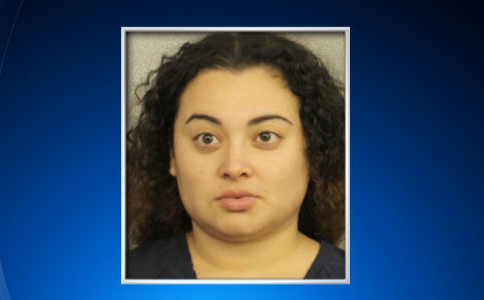 PALM BEACH COUNTY -- A Florida woman is behind bars following allegations that she gave an infant a bottle containing a narcotics-infused liquid, CBS Miami reports. Danese Camacho, 21, was arrested in Palm Beach County on Tuesday for an incident that took place on Aug. 24. While taking care of a six-month-old baby, police said Camacho was under the influence of party drug MDMA, also known as ecstasy, and “mixed the baby’s bottle with MDMA-infused water” before feeding the child. The baby was rushed to the hospital for treatment. Camacho was charged with one count of child neglect and denied bond.